Research Notes: The Griffith's Valuation entries were transcribed by Pat Connors from the printed pages numbered 114 to 117. All occupiers are included, however, the complete entry was not transcribed. The area and net annual value of the occupied property was not included. 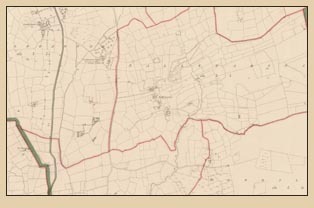 The data base is sorted by surname and information includes first name, townland, street name when given, lessor and description of tenement, page number and map reference number. 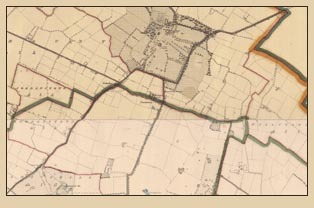 This is an on-going project, so far only the townlands of Ballygorteen, Ballytarsna, Ballyvalden and Baurnafea have been transcribed for this civil parish. More to come, keep checking back.